Create your own straw and felt hats with traditional millinery skills and contemporary techniques. Learn to block several different types of hats that create shape, flatter the wearer and fit the head (fedora, cloche, pillbox, boater and more). 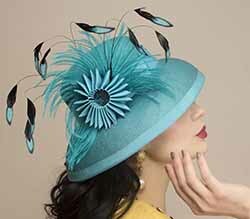 Embellish your hats with sewing techniques and by creating bows, flowers feathers and curls.